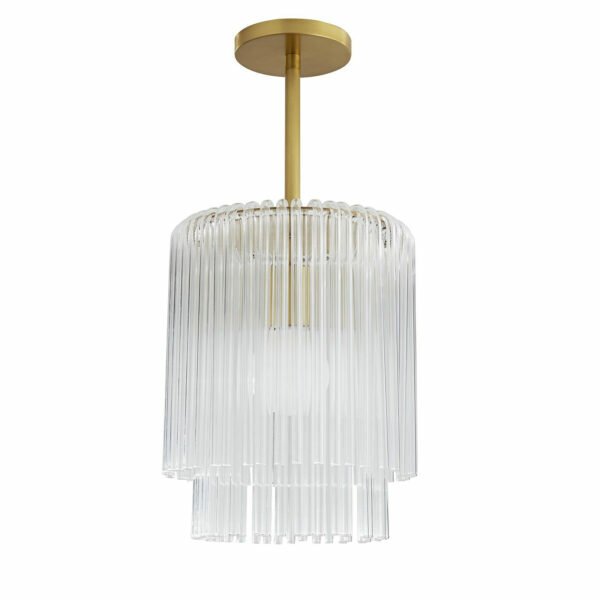 The Royalton Small Pendant brings antique brass plating and uneven ribbed glass rods together for a glamorous vibe. This smaller size of this pendant is perfect for a luxurious powder room or office. Additional pipe available. Also available in polished nickel. Approved for use in covered outdoor areas.